From a first glance at the project, it’s clear that Decentraland will present an interesting, potentially groundbreaking platform for VR and blockchain gaming when it launches in Q4 this year. It provides a way for programmers, gamers, artists, and many other walks of life to find common ground and provides a market for digital assets unlike many seen before. However, as of yet it hasn’t reached much of an audience beyond the blockchain gamers and VR enthusiasts of our community. As such, it’s important to point out the potentials of the platform beyond just those mentioned. VR has a multitude of uses beyond immersive gaming; with one of those uses being in education. The immersion of VR allows users to experience things otherwise too expensive, or simply impossible to see or do otherwise. “Virtual field trips” allow students to go to places beyond their physical reach, or allow them to experience situations otherwise too dangerous to see in person, such as identifying job hazards in a virtual environment (Walsh, 2017). This allows more kinetic learners to get a more thorough education than just reading about or hearing about the topic at hand. VR, but Decentraland especially, could actually lower the costs of education, especially for college-level education. Projects such as Decentraland University will offer students a chance to attend classes and lectures without ever leaving their home. Although some classes will carry a tuition fee; there will also be many free classes, potentially making education far more affordable. The advantages of a virtual campus over a tangible one are numerous; beyond just the transportation aspect. A virtual campus will have no need for janitorial staff, electricians, cafeterias, or many of the other services that are necessary for a physical university, potentially making the cost of tuition drastically lower than the average four-year college. While transportation not being an issue could make it easier for some students to attend college; it may make college a possibility at all for students with special needs. Not needing transport means that students without the ability to walk will still be able to attend classes just as easily as those without physical disabilities, and students that may otherwise falter in a traditional classroom setting could accel in a VR classroom. While the cost of special education for some families is simply too high; the cost of attending a VR classroom could be as little as the cost of a VR headset and an internet connection. Perhaps most importantly is the social aspect of VR classrooms. While online classes today do offer the ability to study and do classwork from home, they often lack the much needed social aspect of the traditional classroom. In a typical online classroom, the most you actually see of other students or the professor is their name, and possibly a profile picture. In a VR classroom, students could talk and interact with each other in a traditional setting, while still having the benefits of studying from home. VR technology and Decentraland could one day be seen as essential to the development of education throughout the 21st century. The potentially drastically cheaper costs of education, the combination of benefits from online and traditional classrooms, and the ease of access could allow for unprecedented changes to the traditional classroom setting. The potential is enormous; now we only need to see it on a grander scale. Disclaimer: Anything written in this article without some form of citation should be assumed to be the speculation of the author. The author encourages readers to do research on their part if they are interested in the topic of VR in education. WORKS CITED: Walsh, Kelly. “Kelly Walsh.” Emerging Education Technologies, 28 Nov. 2017, www.emergingedtech.com/2017/06/real-uses-of-virtual-reality-in-education-how-schools-are-using-vr/. Chris is currently studying creative writing at the Community College of Baltimore County. 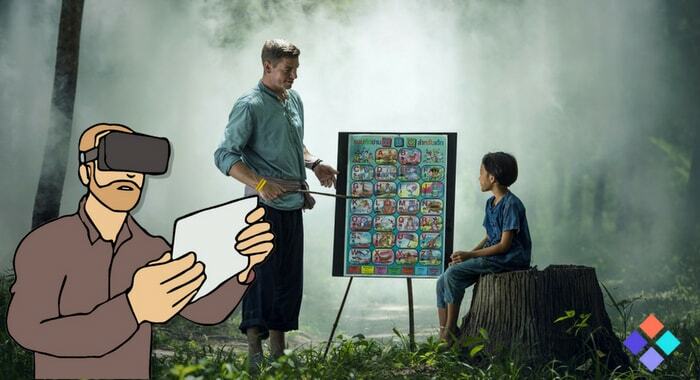 While not currently a LAND holder, he believes in the potential of Decentraland as a platform, and holds great interest in VR technology going forward. 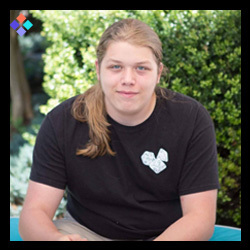 His interests include science fiction and fantasy writing, tabletop gaming, and of course, the world of crypto. PODCAST: A Rare Insight Into V.. When Thou Art At Rome, Have a ..